When I introduced Preston and Liz to each other at our favorite restaurant some years back, I didn’t realize I was setting in motion an epic love story! Liz recently posted this letter from Preston and gave me permission to share it. BONUS: Click here to see the secretly spectacular and spectacularly secret wedding of Preston and Liz Palmer. While I was at my mother’s home in Minnesota for three months this fall, I finally tackled a huge family history project: I scanned and organized more than 3,000 family photos, newspaper clippings and letters. When I came across this photo in an old, lovingly assembled albium, it took my breath away. Given that my dad succumbed to Alzheimer’s, I was especially touched by this On the Road segment from the CBS Evening News on May 23, 2014. Here is the transcription, courtesy of CBS News. Remembering 60 years back is hard for anyone, but for Melvyn Amrine, it’s especially challenging. A month after ninety-six-year-old Fred Stobaugh of Peoria, Illinois, lost his beloved wife of nearly seventy-three years, he saw a notice for a singer-songwriter contest. He sat down, poured out a lyric to his sweet Lorraine, and mailed it off to Green Shoe Studio. A spiritual union is a divine friendship between two people who are equally devoted to each other’s well-being and best interests. Is like a mansion built upon the sand. As a romantic fool and a big sap, I love stories about how people unexpectedly meet and fall in love. This unlikely romance was featured on NPR’s Morning Edition. Click on the audio player below to listen to the three-minute clip. This is the story of a romance that began with a typo. In 2007, Rachel Salazar was living in Bangkok, Thailand, and Ruben Salazar was in Waco, Texas. Their email addresses were nearly identical. Last summer, my marriage ended. I didn’t want it to, but the gap between our lifestyles kept widening, and splitting up soon became the obvious course of action. I was heartbroken, but from the start I recognized that there was great value in my grieving process. I’m sharing what I went through in the hope that the process that helped me recover relatively quickly may offer some comfort to others who are hurting. It took me four months to heal, which is far better than four years . . . or forever. 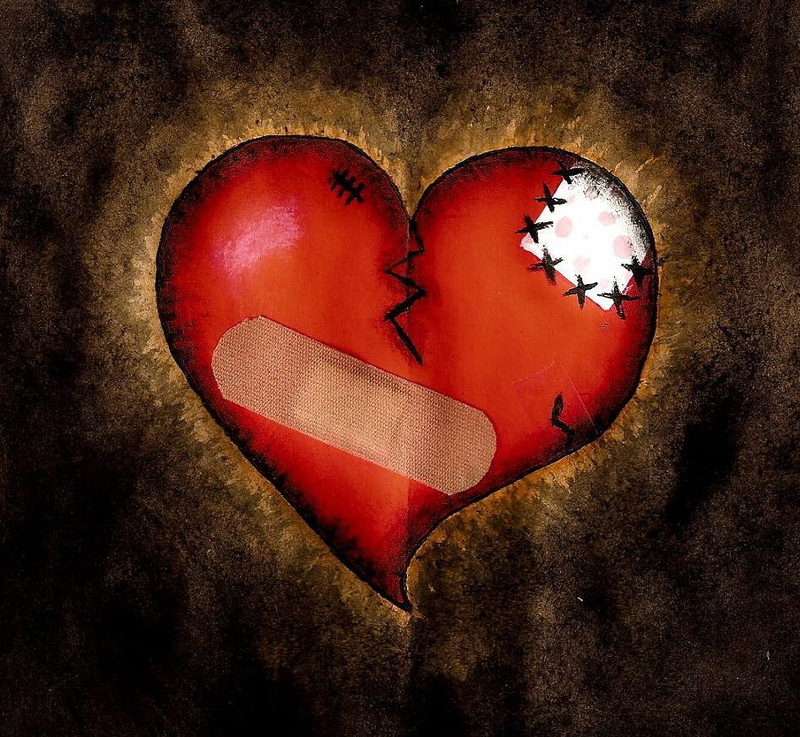 You can recover from a broken heart. You can heal. You can be whole again.